Pesto and Goat Chorizo Pizza, Made At Home! 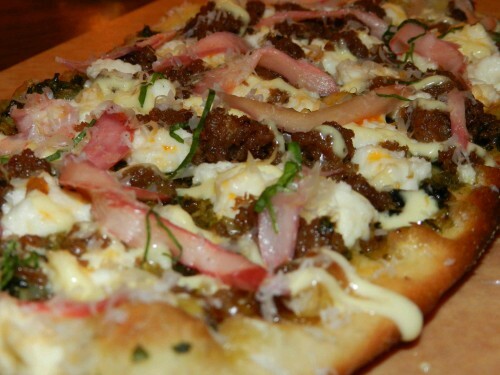 Check out Stephanie Izard’s (Chef/Owner of Girl and the Goat in Chicago) flatbread pizza recipe! I just found this one and can’t wait to try it. How can you go wrong with pesto and chorizo?! Knowing me, I will probably substitute the riccotta cheese for goat cheese.